To compete in Germany’s first single-seat fighter competition during January 1918, Fokker produced its V 11 prototype (with 30 other aircraft including six Fokker types), which used many Dr I structural and design features in a biplane layout with a 119-kW (160-hp) Mercedes DIII inline engine. The V.11 prototype revealed the need for a longer fuselage and fixed fin in addition to the coma shaped rudder before entering. The type displayed sparkling performance and agility, and the D VII production model began to enter service in April, initially with the DIII engine but later with the BMW III for improved performance at altitude. The D.VII was the most successful fighter of World War One. Fokker won an order for 400 machines during the fighter competition of January 1918. The V.11, prototype of the D.VII only just met the deadline, and Fokker had had no opportunity to test it, so he was obliged to do this whilst demonstrating it during the meeting. Its longitudinal stability apparently left much to be desired, and the aircraft would spin at the slightest provocation. Fokker flew the fighter as sharp as a razor, and no one noticed its short-comings, but he was afraid that the front-line pilots who were going to fly it in the contest would break their necks in it, and so spoil his chances. On the Saturday he phoned Schwerin and ordered two of his best welders to come over, and the three men worked secretly throughout the night. By Sunday afternoon 60cm had been inserted in the fuselage, and the rudder had been enlarged. Fokker quickly made a test flight, just before the manufacturers were forbidden to enter the field. The aeroplane was no longer dangerous, but the tail controls were still very sensitive. Fokker handed the machine over to the competition commit-tee and left the field. 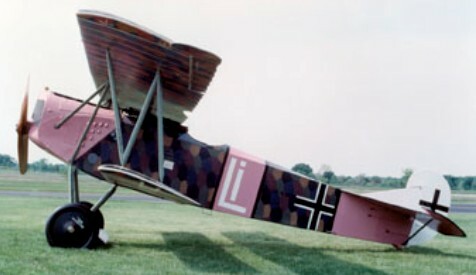 The in-line engine winner was the Fokker D.VII. The success lay in its handling characteristics. Fokker received an order for 400 aircraft. To meet the demand for the new fighter the D.VII was put into mass production at three different factories, Albatros, Fokker's chief competitor, built the D.VII under license at two. Ironically, Albatros built more D.VIIs than the primary contractor and the Albatros product was of higher quality. Forty-five German fighter units received these agile machines from April 1918, but it is doubtful that all were completely re-equipped. The first examples reaching von Richthofen's squadron at the Front in April 1918. In August 1918, it contributed the major part of the 565 victories scored by the German Air Force, which compared with 217 in April, the month before it entered service. A light-grey two seat D. VII was a personal present from Fokker to Ver'steegh. One D VII was used by the newly established Czechoslovak Air Forces at the Cheb Training School from 1918. By the end of World War I more than 700 D VIIs had been delivered, and the type won enormous approval and respect from German and Allied pilots for its agility as well as its good performance and handling even at high altitude. Another important feature was its capacity to hang on its propeller, allowing pilots to fire upward when other fighters would have stalled and entered a spin. There were many variants, none produced in quantity. The Allies ordered the Germans to hand over all Fokker D.VII fighters. It was the only type to be specifically mentioned in the Armistice Agreement. More than 100 were smuggled out of Germany, to prevent their seizure by the Allies. Engine: 1 x BMW III, 138kW (185 hp). Wing chord (upper): 5 ft 3 in. Max T/O weight: 880 kg (1,940 lb). Max speed: 124 mph at 3,280 ft.
Wing area: 236 sq. ft. Length: 22 ft 9.75 in (6.95m). Wing area: 220.66 sq ft (20.50 sq.m). Gross weight: 1,984 lb (900 kg). Max speed: 117 mph (189 km/h) at 3,280 ft (1,000 m). Endurance: 1 hr 30 min. Propeller:Overall diameter approximately 110 in.